This recipe comes from that mindset, and I hope you'll feel inspired to spend 15 minutes throwing it together. Though I follow a largely Plant-Based diet, I do enjoy some high quality meat from time-to-time. I used a local ground bison, entirely free-range & grass fed. VEGAN TIP: If you're not a meat eater - simply skip the bison steps, and add 1/4 - 1/2 cup raw cashews to your blender. This will make the sauce rich & creamy! When I make this version, I always go a little heavy on the garlic & black pepper because I love the spicyness! Makes enough sauce for 2 large servings. This is a SUPER tasty pasta! I love that it uses Gluten- Free Grains, but that they are also WHOLE GRAIN - that's not easy to find. Plus, the blend of Quinoa, Amaranth & Brown RIce makes for a much higher protein pasta. Bring a large pot of water to boil. Add your pasta to boiling water and cook pasta according to package directions. Meanwhile, heat a large skillet to medium. Add the finely diced onion + 3 tablespoons water and sauté for a few minutes, stirring often, being careful not to burn it. When the onion is beginning to soften, add garlic and continue to saute until the onion is translucent. Add sauteed onion & garlic to a blender with chopped tomatoes (including skin and seeds), 3 tablespoons water and tomato paste. Blend until smooth. Now add ground bison into the hot skillet and cook through. Pour the sauce from the blender into the warm skillet, stir, and bring to a simmer. Stir in the salt & pepper and let it cook for a couple of minutes, watching closely. Once the pasta is done cooking, rinse and drain it. Add the drained pasta back in the pot and now gradually add pasta sauce until your desired amount is achieved. Stir in fresh basil and serve immediately. Are you ready for a Spring Clean? I have created a program that will teach you how to find the unique healthy blueprint for your body. By choosing foods that serve you rather than harm you, you will enjoy more energy, improve your digestion, jumpstart your metabolism, and reduce unwanted belly bloat. Get on my waitlist now and be the first to hear all the juicy details about this BRAND NEW PROGRAM! 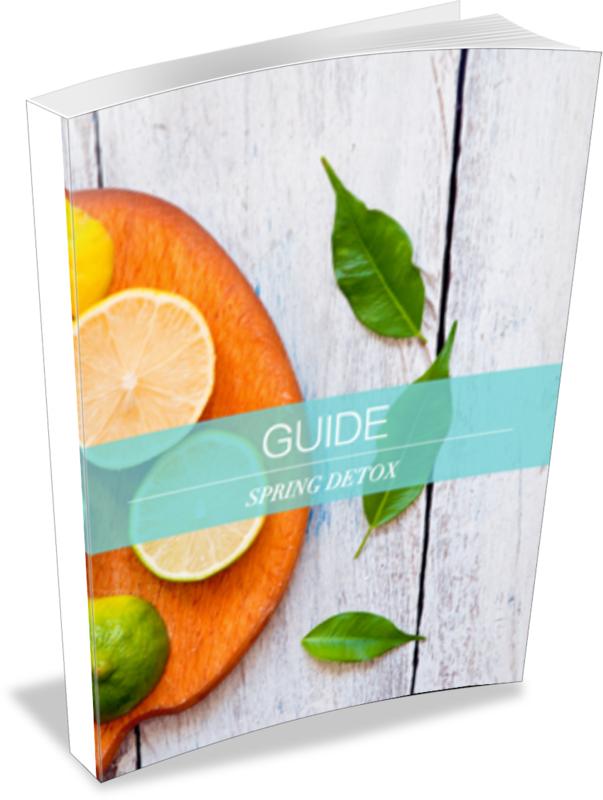 In addition to my personalized guidance, you'll also receive an incredible recipe guide, full menu plan w/ shopping list, handouts, daily detox regimen, optional juice cleanse guidelines, AND MUCH MORE!